SitePoint is a hub for web developers to share their passion for building incredible Internet things. 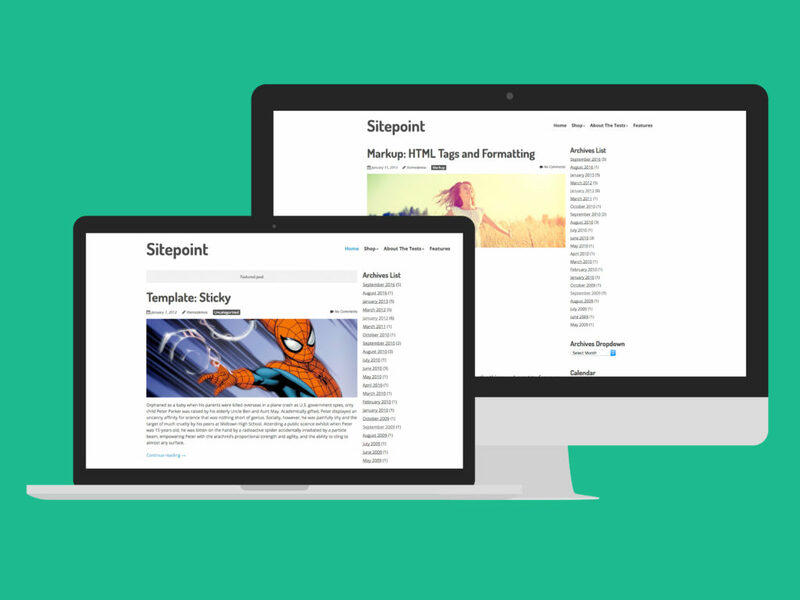 Founded in 1999 and based in Melbourne (Australia), SitePoint is proud to support all manner of web professionals, from developers, designers, product creators through to entrepreneurs. 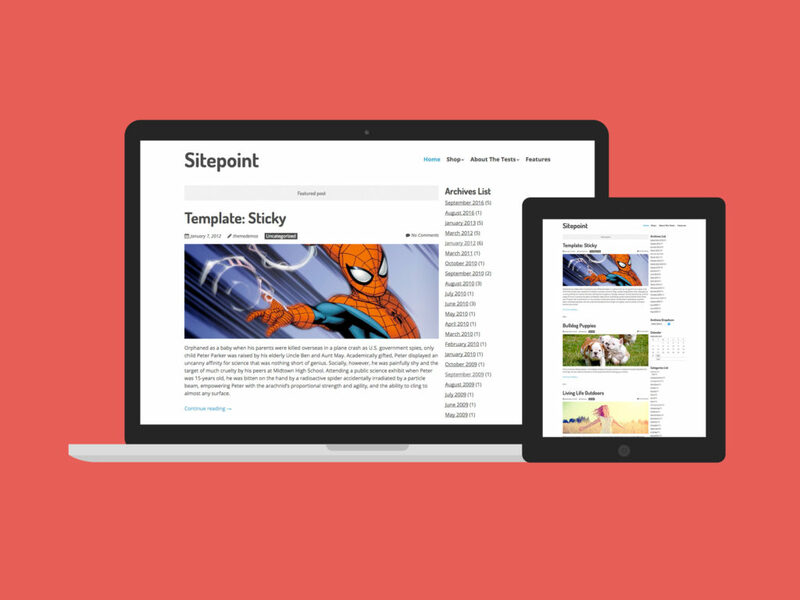 As part of their commitment to providing useful resources to the development community, Sitepoint were keen to provide a selection of WordPress themes. Before this could happen though, they wanted to develop a high quality base theme that they could use to build these themes. Not only would this provide them a great starting base for their themes, but would also provides some consistency among all the themes they were planning to release. In designing & building the Base Theme for sitepoint, I focused on 6 major areas. This new base theme needed to be super fast. With a performance score of 98 on Pingdom, this was definitely achieved. It needed to be mobile friendly. Google gave it 100/100 on their Mobile Testing tool. It was important that this new theme was coded with WordPress best practices in mind, it needed to be easy to use and develop with and it was important that it be released under the GPL Open Source license. Last, but not least, with the growing number of eCommerce sites out there, it was important to make it compatible with the best WordPress eCommerce platform out there, WooCommerce.